The bright and cheery Candy Cane Taffeta ribbon is exactly what you want for your home’s wreath, tree, and holiday decor this year. 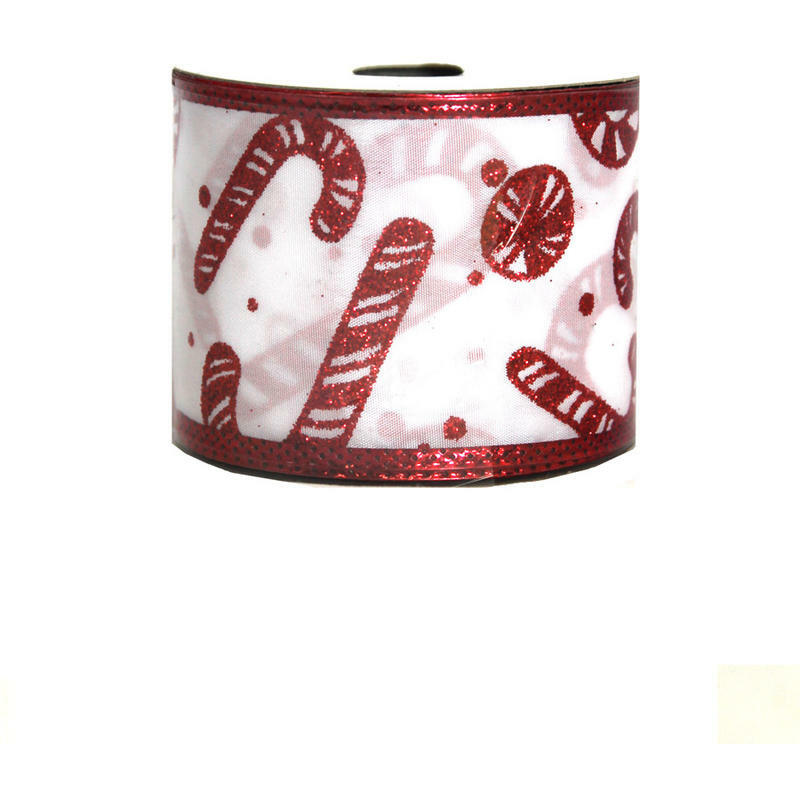 The icy white background is adorned with glittered candy and canes in red. 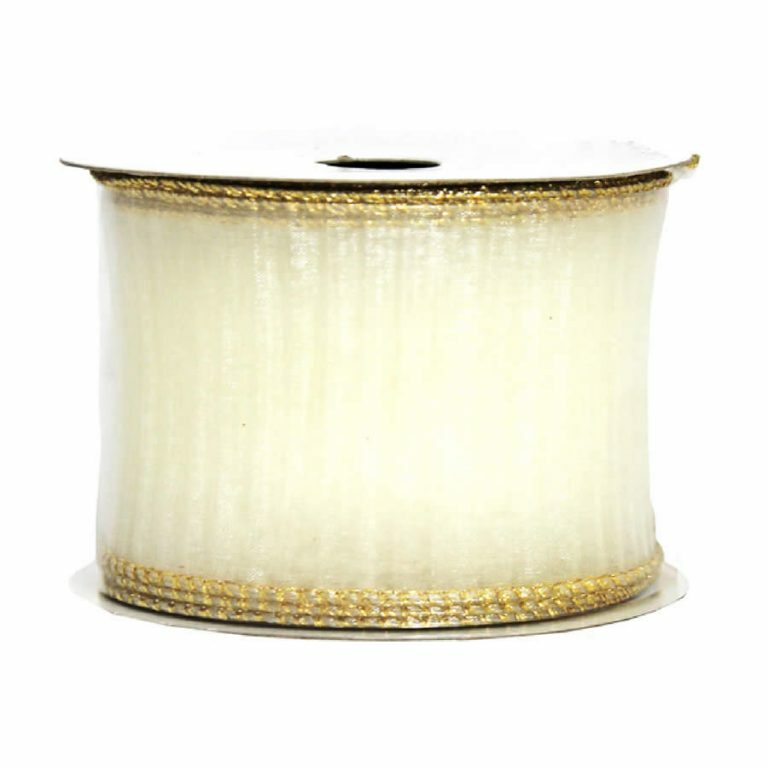 Each 9-metre long roll is a hearty 7cm wide with a wire edge. 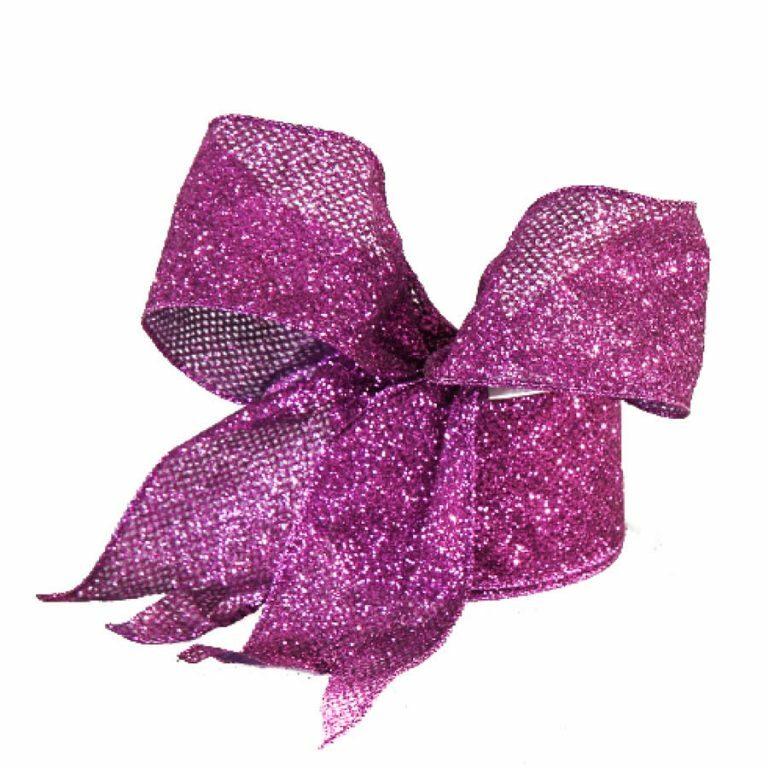 This width and wire support make it possible to create the most full and beautiful bows ever. 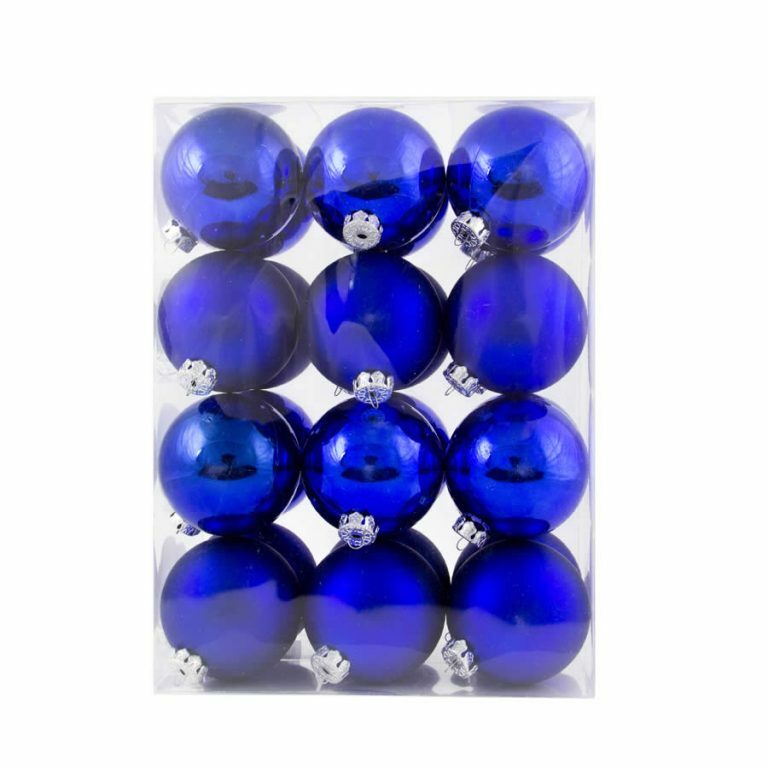 This would make a dramatic impact when used on the dark evergreen of the Mountain Black Slim tree, offered and sold separately, or on your own simple green wreath. 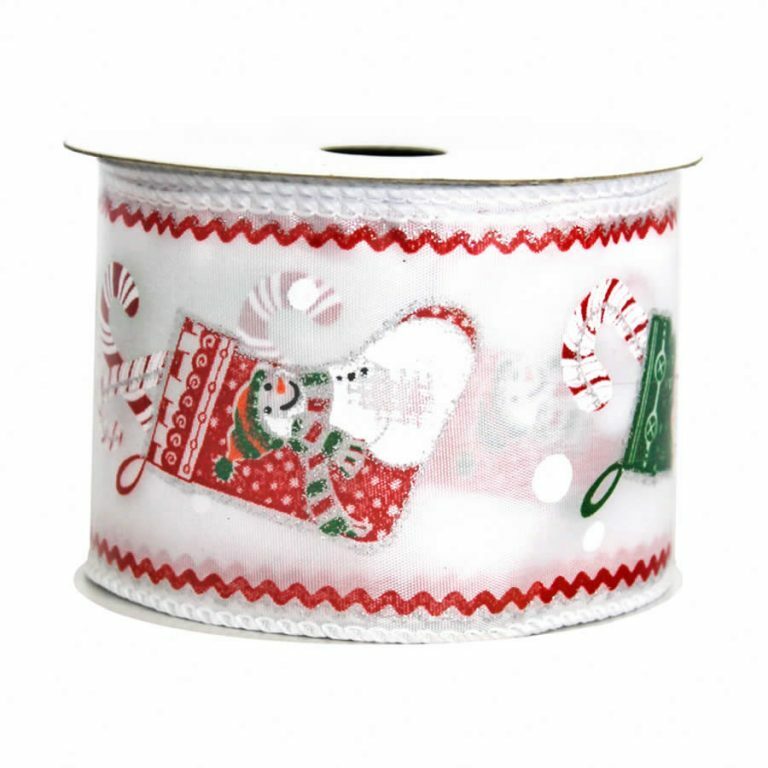 Enjoy the fun and folly of the beloved candy cane with this quality holiday ribbon. You won’t be disappointed!